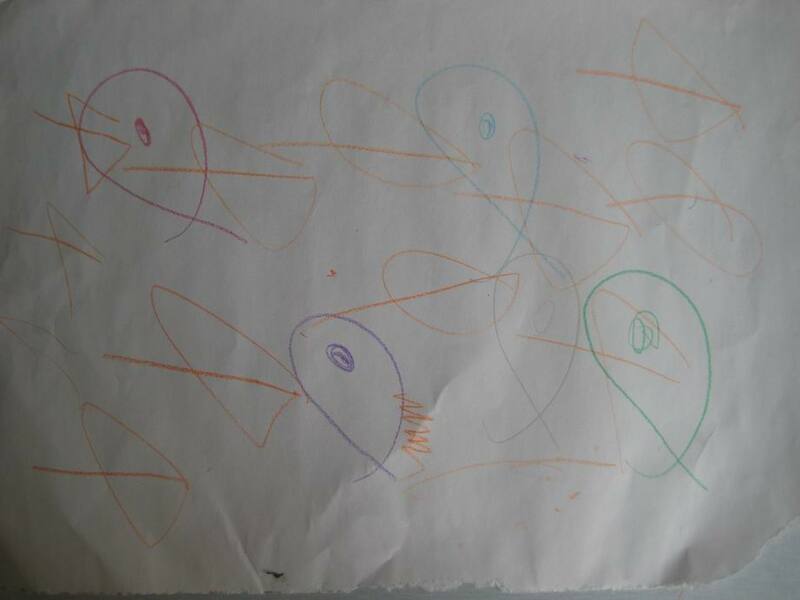 This blog entry is an amendment and update to my previous blog entries on related topics, which were written in Chinese. Eucalyptus related data were obtained from http:/open.eucalyptus.com/forum. In this study we only utilize the data from “Eucalyptus General” and “Eucalyptus Support ” sub-forums. OpenStack related data were obtained from http://www.openstack.org/community/. In this study we only utilize the data from the Developer List. OpenNebula related data were obtained from http://www.opennebula.org/community:mailinglists. In this study we only utilize the data from Users, Ecosystem, and Interoperability lists. CloudStack related data were obtained from http://www.cloudstack.org/discuss/mailing-lists.html and http://www.cloudstack.org/forum/1-main-forum.html, but among all the mailing lists only the User/Admin and Development mailing lists were included in this analysis. The reasons to ignore other forums or mailing lists include (1) the content of the specific forum or mailing list appears to be public announcements rather than community discussions, (2) the number of topics, messages, and participants is too small to have any impact on the conclusion, and (3) aumatically generated VCS logs does not represent real community activities. Figure 1 and 2 represent the monthly number of topics (threads) and posts (messages) since 2009. Before January 2011, there were a lot of discussions on Eucalyptus and OpenNebula, while the new-born OpenStack and CloudStack were bearly mentioned. Starting from January 2011, OpenStack and CloudStack related discussions began to grow. OpenStack gradually exceeded Eucalyptus and OpenNebula during June~Setptember 2011, and CloudStack climed to the same level as Eucalyptus and OpenNebula during the same period. After September 2011, the monthly number of topics and messages were very close for Eucalyptus, OpenNebula and CloudStack. In terms of monthly number of topics, OpenStack is about 30% higher than the other three. 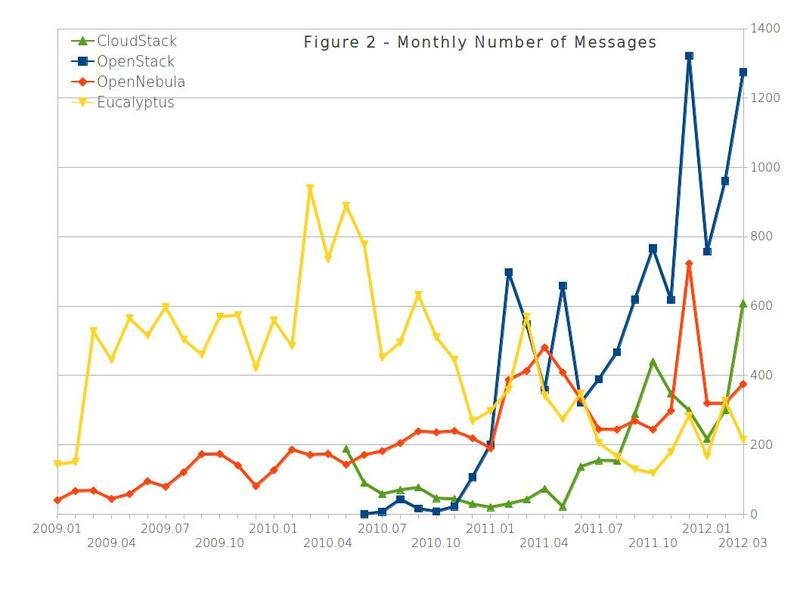 In terms of monthly number of messages, OpenStack is about 150% higher than the other three. Figure 3 shows the monthly participation ratio of OpenStack, OpenNebula, Eucalyptus and CloudStack communities since 2009. It can be seen that the participation ratios of OpenNebula, Eucalyptus and CloudStack were very close. The participation ratio of OpenStack is much higher than the other three since the very beginning in June 2010. Except for a couple of months, the participation ratio of OpenStack is usualy 100% higher than the other three, or even more. Figure 4 shows the monthly number of participants for OpenStack, OpenNebula, Eucalyptus and CloudStack communities. Before January 2011, the monthly number of participants of OpenNebula and Eucalyptus were much higher than OpenStack and CloudStack. During January~June 2011, the OpenStack and CloudStack numbers continued to grow, while the OpenNebula and Eucalyptus numbers were declining. Currently the monthly number of participants for OpenStack is 3 times as big as that of OpenNebula and Eucalyptus, the monthly number of of participants for CloudStack is at the same level as OpenNebula and Eucalyptus. Accumulated Community Population refers to the total number of users and developers who have participated in forum or mailing list discussions. (This number does not include those who have registered into discussion forums or mailing lists but have never participated in any open discussions.) These are people who have tested or used a specific product for a while, but not necessary currently an active user. A new product release, or a promotion event, might be able to reactivate some of them. 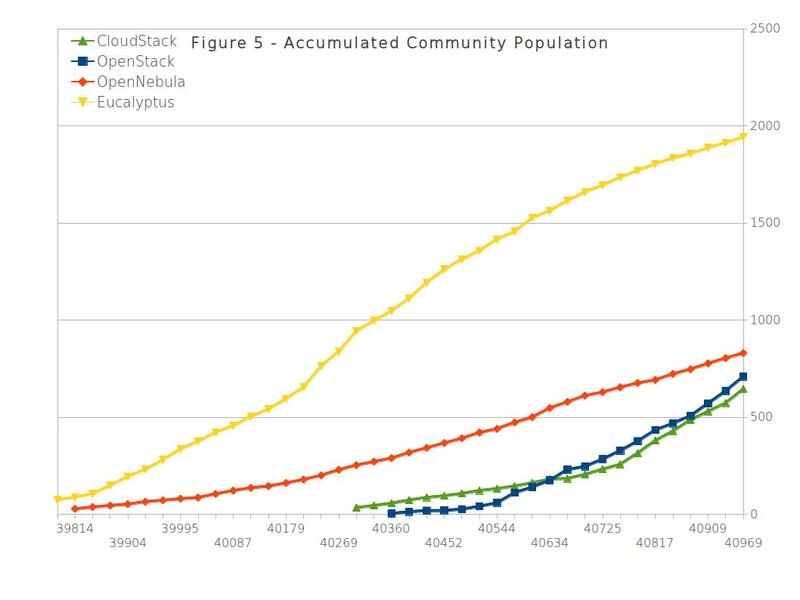 Figure 5 shows the commuhity population growth of OpenStack, OpenNebula, Eucalyptus and CloudStack since 2009. With 18 months of first-mover advantages, the community population of Eucalyptus and OpenNebuls is bigger than that of OpenStack. Currently, the community population numbers for Eucalyptus, OpenNebula and OpenStack are 1950, 850, 700 and 650 respectively. According to Figure 5, the population growth of Eucalyptus and OpenNebula is slowing down, while the population growth of OpenStack and CloudStack are accelerating. It should be mentioned that although OpenStack and CloudStack are currently growing at a faster pace, their current community populations (21 months, 700 and 650 members respectively) are much less than the community population of Eucalyptus at the same age (September 2010, 1100 members). Assuming that none of the three projects take significant changes in community management, the community population of OpenStack and CloudStack will exceed that of OpenNebula in 6~9 months. A connservative estimation is, it will take 18~24 months for OpenStack and CloudStack to surpass Eucalyptus in community population. 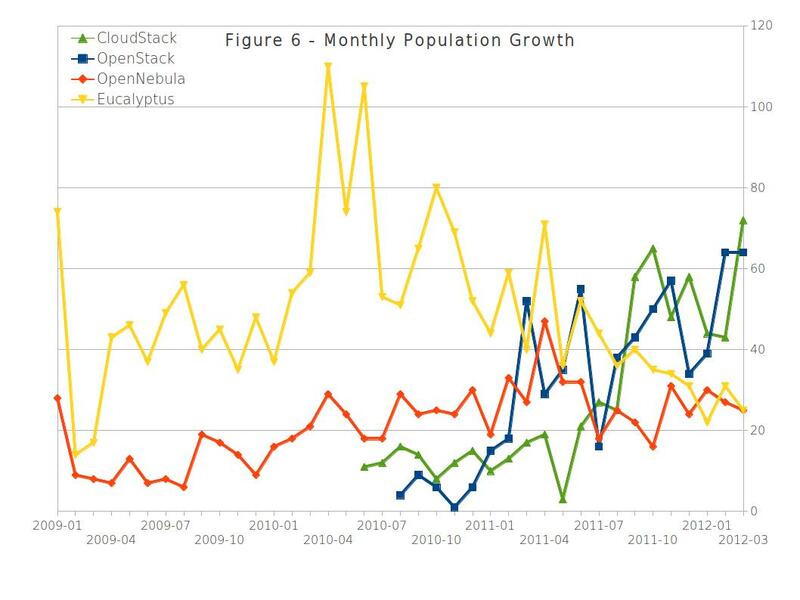 Figure 6 shows the monthly population growth for OpenStack, OpenNebula, Eucalyptus and CloudStack. Currently the monthly population growth for OpenNebula and Eucalyptus is about 25, while it is about 65 for OpenStack and CloudStack. Figure 7 is a combination of Figure 4 and Figure 6. The solid lines represent the monthly participants, while the dash lines represent the monthly new members. For OpenNebula, Eucalyptus and CloudStack communities, around 50% of their monthly participants are new members. For OpenStack community, around 25% of its monthly participants are new members. This indicates OpenStack community is more “sticky” than OpenNebula, Eucalyptus and CloudStack communities, because more existing users choosed to stay. Based on the above-mentioned 7 figures, we can see that the OpenStack community is growing at the fastest pace, and attracted the most attention in the area of IaaS. The CloudStack community ranks #2, because its “stickiness” is not as good as OpenStack. The OpenNebula community is growing steadly, without any sign of recession in the near future. The Eucalyptus is showing obvious signs of recession, but its first-mover advantage is still taking effect. So, has OpenStack win? From a short term perspective, OpenStack-related monthly number of threads is 30% higher than competitors, monthly number of messages is 150% higher than competitors, monthly number of active users is 250% higher than competitors. If we remember that OpenStack’s investment in advertising, public relationship, marketing, and partnership is 10 times bigger than its competitiors, it would be reasonable to expect a better ROI。From a long term perspective, the OpenStack community has been around for 21 months, and its population is only 60% of the Eucalyptus community at its 21 months. It is obvious that OpenStack is being propagated and accepted at a slower pace than Eucalyptus at its early stage. Then, has Eucalyptus lose? It seems that Eucalyptus has nothing left except for its first-mover advantage. If we could remember that the latest community edition of Eucalyptus was 2.0.3 released in May 2011, it would not be difficult to understand the why the Eucalyptus community is recessing. Remember, OpenStack released Bexar, Cactus, and Diablo in Feb, Apr and Sep 2011, and the Essex release is coming very soon. This waterfall development model, along with quicker/smaller releases, keep users and developers excited, which resulted in the stickiness and growth of the user/developer community. In fact, Eucalyptus also used this method to gain users and developers in the old time (Eucalyptus 2.0, 2.0.1, 2.0.2 and 2.0.3 was released in Aug 2010, Oct 2010, Jan 2011 and May 2011). If Eucalyptus would come back to its old strategy (If Eucalyptus is still willing to continue its open source strategy), its first-mover advantage (community population: 1950) will certainly bring fruitful return. As an end note, the OpenNebula and CloudStack projects deserve some serous attention from users and developers working on cloud computing.